Modern Honda Civics are available with the optional Semi-Automatic gearbox which is equipped with I-Shift technology. This is basically a manual gearbox that is controlled electronically by an electronic clutch actuator, gearbox actuator, and a gearbox ECU. These gearboxes are known to suffer transmission faults. Although this is a very problematic system, it is not always the same part that fails. We’re able to test and repair all three parts – the clutch actuator, gear actuator and the gearbox ECU. If you find that either of the actuators are faulty and have researched the repair solutions available, you will find that a new clutch & gear actuator will cost in the region of £750 – £950 + VAT + Labour and then extra costs will be added if the unit requires coding / calibration. These are usually available directly from the dealer and will only come with a 12-month warranty, however if you manage to purchase second-hand part, these will usually be cheaper, but will only come with a limited warranty (normally 30-90 days) and will also require programming. 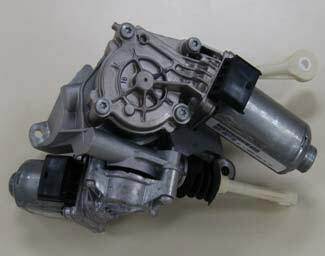 Here at Sinspeed, we are able to fully test & repair the clutch and gearbox actuators for the Honda Civic I-Shift vehicles. When rebuilding the clutch & gearbox actuators only genuine OEM components are used to ensure that each rebuilt actuator is rebuilt to meet and exceed OE specifications. If it is your own unit that we are repairing, this will not require programming either and you will also be happy to know that all our repaired clutch and gearbox actuators will come with a Lifetime Warranty. If you have a Semi-Automatic (I-Shift) Honda Civic and are experiencing transmission problems that are related to either the clutch actuator or Gearbox actuator then call us today on 0203 815 9441 for a diagnosis or a free quote! Tags : 0132900001, 22880-RPJ-L05, 22880-RPK-L02, 22880RPJL05, 22880RPKL02, G1D300400, G1D301602, Honda Civic Actuator Repairs, Honda Civic Clutch Actuator Problems, Honda Civic Clutch Actuator Rebuilds, Honda Civic Clutch Actuator Repairs, Honda Civic Gearbox Actuator, Honda Civic Gearbox Actuator Repairs, PPTD40. Honda Civic 2006, P0810, won’t go into gear. May you please send me details about your service? 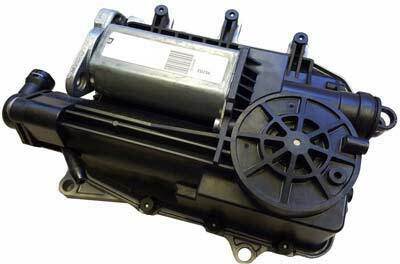 Hi i was wanting to know ca you repair honda jazz actuator as well. We do have a test for the Honda Jazz units as well. I have sent you an email with full information and pricing. While driving my car went into neutral and was stuck in neutral. I have check System come up on my dashboard. Now my car Does not start at all. I have diagnosed with delphy and come up with this fault code P19FC. Shift change actuator position learning not completed. Please send me information regarding this, and a quote. Thank you. Honda Civic 2011,won’t go into gear. And not starting ,May you please send me details about your service? Hi, I have a Honda civic 2008 i-shift. One day the car ‘slipped’ out of great while driving (displayed 0 in gear display), but was able to drive home again after stopping. Next morning, couldn’t Start the car. At garage, diagnosis revealed p0810 fault. Can this be fixed? Which parts to send, what would be the cost and time required? Hi. Honda Civic i vtec 1.8 has been diagnosed needing a new TCM. Do i have to have mine rrmoved so k can send to you? Warning light comes up in the dashboard and only allows gear to be in manual.